An elephant sanctuary, namely Borneo Elephant Sanctuary has been built in Kinabatangan. This project was initiated by the Sabah Wildlife Department and non-governmental organization Borneo Conservation Trust (BCT) as part of the Elephant Conservation Action Plan. The elephant sanctuary is divided into two phases that will see a bigger area turned into a full-fledged sanctuary measuring more than 1,200ha. The first phase of the elephant sanctuary will be opened in September and it is completed with a handling paddock, staff quarters and a store built at a cost of RM1.8 million. The second phase will follow to develop a 25ha plot in the sanctuary with the cost RM5.2 million. The overall cost for the elephant sanctuary will cost up to RM30 million once fully established. According to BCT conservation and research head, Raymond Alfred said the first phase of the project was financially aided by BCT Japan, Asahiyama Zoo, Saraya, Hunting World, Tokio Marine, NTT Data Kirin, Taiseh and Yusen Logistics. Meanwhile, second phase is aided by the Malaysian Palm Oil Council. 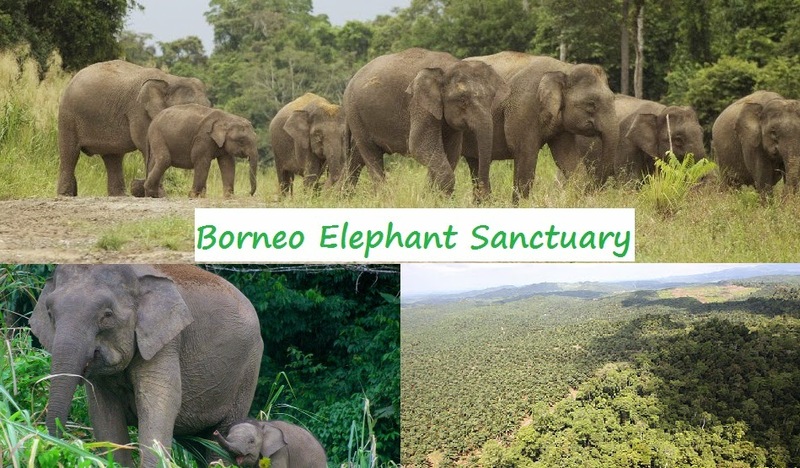 Borneo Elephant Sanctuary will serve as a centre to rescue and treat injured or displaced elephants, along with conducting awareness programmes and activities. A forested area has also been identified for rehabilitated elephants to be released into. Between 12 and 16 elephants could be catered in the first two phases of the programme said Sabah Wildlife Department director, Datuk Dr Laurentius Ambu. The effort to build a sanctuary for the elephants shows that Sabah state government and NGO are cooperating well to protect the endangered animals. Let us hope more initiatives to protect Sabah's nature and wildlife turn into reality.